RUSH: We’re gonna start with Jan in Northfield, Minnesota. Welcome. You’re up first today. It’s a big responsibility, and great to have you with us. CALLER: Hi, Rush. I’ll do my best, and thank you for taking my call. CALLER: I’m concerned about global warming, like you are, and I can’t believe how (call drop out) these guys are. The whole global warming con has been going on for decades, but they’ve invested so much money in movies, so much money in Nobel Prizes, so much money in all kinds of whatever they invest money in, they can’t let it go. RUSH: I know. She has got a good point. They’re using the kids here. Let me tell you what happened last night. Jan, before you go away, I need to ask you a question. Are you there? RUSH: Okay. Seriously, now, there’s no wrong answer here. I’m asking this because I really want to know. When I bring up climate change on this program, do you at any point go, “Come on, Rush, we know. Let it go. Move on to something else.” Has it gotten to the point where it is frustrating to even hear it discussed? RUSH: I’ll tell you, it’s exactly right. Folks, I haven’t had anybody tell me that it is, don’t misunderstand. I’m just using my own sensitivity and awareness. This has been a signature issue on this program for 25 years. Well, actually, it’s been a signature issue for over 30, because it was a signature issue when I was in Sacramento. Back then, you know, climate change had a predecessor. It was the spotted owl and animal rights, and it was all tied to climate change, but it was in the mid-eighties that I first actually heard of this. Five years earlier it was the world’s gonna freeze, that ’79 Newsweek cover. And she’s exactly right. The forecasts have said 10 years, 20 years. None of the forecasts have come true. Global warming, it stopped warming, so they changed it to climate change. Since they can’t really illustrate massive changes in climate, they modified things and started referring to anything, any weather extreme, as evidence of climate change, be it a flood, which had been happening since Genesis. Talk to Noah about that. Torrential rain. These things are now cited as examples of climate change. You ask yourself, I ask myself, how in the world can we battle this? I mean, if these people are willing to go to this degree to distort things, if weather extremes that are part of nature from the beginning of time are now evidence of a political belief the left has, how do we push back on this? This has been a primary focus of mine, and I keep trying to invent new ways to avoid the boredom, to avoid predictability, and to avoid the sameness, because to me this issue embodies virtually everything the left needs to establish the end of democracy and impose authoritarianism. It’s got every ingredient. It’s got every technique that they employ. One issue, if they can bring it home, accomplishes ball game. And that’s why I am so fervently opposed to it, because it can’t be proven, it cannot be established. There is no science that says what’s happening is happening. All they’ve got are computer models. I have nothing to gain by lying to anybody about this. If I lie about this and create some converts, I’m gonna lose ’em at some point because it’s gonna be discovered that I’ve been lying. I have nothing to gain by making anything up here, nothing whatsoever. There’s no short-term gain that I am seeking here. There’s nothing I’m trying to accomplish with this other than to stop it, for the benefit of people, because I love people. I hate what liberalism does to people, individuals. And this issue contains every assault the left is making on individual liberty and freedom and an expanding economy. It’s got everything they want that leads to their nirvana, which is a never-ending expansion of government that one day becomes global, the end of borders, the end of nation states. These are sick, sick people. And with money they have co-opted many people who used to be legitimate scientists. They have invented scientists out of people that wouldn’t know science if it slapped ’em upside the head, like Algore, and they’ve conferred scientific status. Their experts tell us that climate change is so rampant that we’ve only got, what, 30 years left, if we don’t colonize Mars, the human race is gonna go extinct. And I can’t believe that people actually believe it. Stephen Hawking says it, though, smartest man in the world, or joined by Elon Musk or Bill Gates or whoever, it’s insanity. And it just never stops. Trump made it official. I pointed out yesterday, we are officially out of the Paris climate accords. Prior to yesterday it was just a verbal assurance, but it actually happened. The New York Times flashed their subscribers and the world with a breaking news alert last night, setting up a news story in the paper today, headline: “Breaking news. The Times has received an alarming draft report on climate change by federal scientists who fear President Trump will suppress it.” And this report contains more evidence, more incontrovertible evidence than ever before, that it’s even worse than we have been led to believe. 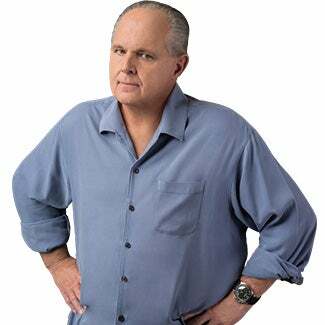 RUSH: Now, let me close the loop on this New York Times climate change effort, because it seems like every phase of this, the climate change, the pro-man-made climate change people just get more extreme and paranoid and wacko with every event, such as Trump pulling out of the Paris climate accords. It was predictable that there would be an answer to that. It was predictable as the sun coming up every morning that the left would have reaction to it, and it fell to the New York Times, and they sent out this blaring — it’s the largest news alert I’ve ever seen. Now, this flies in the face of even what these advocates have reported. Even the advocates have acknowledged that in the last 16 years there hasn’t been any warming, and they’ve had to concoct a phony excuse, “Well, there has been a pause,” and they assign the reason for the pause to volcanic activity. There’s more ash up there shielding the sun or there has been sunspot activity. Or sands in the Sahara desert have been whipped into a frenzy and there’s a cloud of that sand circulating the globe. They’ve come out with all kinds of phony baloney, plastic banana, good-time rock ‘n’ roll excuses to explain what they have to acknowledge is the pause. There hasn’t been a major Category 3 or above hurricane strike the United States in 4,300 days. How many years is that? Do the division. It’s a number of years. And yet we were told that after Hurricane Katrina, that that was going to be the standard, that Katrina was just the warning. That was just the baby hurricane. Algore especially was warning that it’s gonna be bad and there were gonna be massive — tornadoes are even down. The number of tornadoes are way down — (interruption) It’s over 11 years, exactly. Did you ask Siri? Is that how you did it? Same thing, used a calculator, but you could have asked Siri. Let me try it. Hey, Siri. Divide 4300 by 365. You’re right. Almost 12 years, 11.78 years since a major category three hurricane has hit the United States, coastline or otherwise. So here comes the Times with a brand-new report nobody’d ever seen before, and they’re saying, we got it wrong. There hasn’t been a pause. The temperature rise since the 1980s has been greater than any of us ever knew. New research, new data, and we’re so convinced it’s right that Trump’s gonna suppress it. Trump isn’t gonna suppress it. They’re just gonna ignore it. Oh, there’s one more paragraph in the breaking news alert. “The report was completed this year and is a special science section of the National Climate Assessment, which is congressionally mandated every four years. The National Academy of Sciences has signed off on the draft report, and the authors are awaiting permission from the Trump administration to release it. One government scientist who worked on the report said he and others are concerned about its fate.” And then the “read more” little tab there. So here’s the story. It’s by Lisa Friedman. I saw her on CNN today breathlessly ringing her hands (sobbing) worried and scared. It’s terrible, worse than we ever led to believe! “Government Report Finds Drastic Impact of Climate Change on U.S.,” leaked by a so-called scientist, government data. We know the government data has been fudged. We know that government data has been ignored. We know that NASA has ignored plummeting temperatures. We know that a number of these “experts” have gamed the numbers. This is drastic. Every climate change prediction until today was for 30 years out, 50 years out — or, in some cases, all the way to 2099, 3000, a hundred years or more away. The reason for those long predictions is that nobody’s gonna be around. Of people around today, very few are gonna be around to know whether or not the predictions were right or wrong. “By 2050, temperatures around the world are likely to increase by at least one degree Celsius, which could raise sea levels and end coastlines!” All these panic-filled shock stories are predicted way out. But this, this report says “that Americans are feeling the effects of climate change right now. It directly contradicts claims by President Trump and members of his cabinet who say that the human contribution to climate change is uncertain, and that the ability to predict the effects is limited. … ‘Evidence for a changing climate abounds, from the top of the atmosphere to the depths of the oceans,’ a draft of the report states. A copy of it was obtained by The New York Times,” also known as a leak. “The authors note that thousands of studies, conducted by tens of thousands of scientists, have documented climate changes on land and in the air.” Of course they have! The climate’s always changing. It’s constantly in flux. It’s never the same. The argument is that we are causing it. But they can’t tell us how, because then if we were causing it, stopping it would be easy. Wouldn’t it? Except it isn’t easy because what do they claim is causing it? Progress. The advancement of the human condition is causing climate change and destroying the planet. Does anybody believe that? You know, there’s also some arrogance-in this how long has the earth been around? Some of you think 10,000 years. Some think millions. Whatever the number — doesn’t matter — who is to say that the climate as it exists during our lifetimes is the norm? How can anybody know that? There has to be a norm in order for there to be warming or cooling. Isn’t it magic that the norm just happens to be when we are alive? Why wasn’t the norm in the preindustrial age? Why wasn’t the norm during one of the glacial ages? Why wasn’t the norm during one of the heat periods? Why is it now? Because it’s convenient, and it makes all of their bogus science seem to work. RUSH: Folks, get this. This is one little paragraph here from this New York Times story. What did I just say? They began to incorporate weather extremes as evidence of climate change. Listen to this: “Among the more significant of the study’s findings is that it is possible to attribute some extreme weather to climate change. The field known as ‘attribution science’ has advanced rapidly in response to increasing risks from climate change.” Attribution science! They just made it up. They want to be able to “attribute” extremes to climate change. Like no hurricanes in 11 years? Like fewer tornadoes? Like what? “Attribution science.” But the big thing in this report is climate change is now. It’s happening now! Not 20 years ago, not 30. It’s happening now. Folks, we’re gonna fry, it’s so bad. Trump’s gonna suppress it. Trump’s not even… Trump’s gonna try to disown all these scientists. You watch! You watch! Such bogus, lying B.S. It really infuriates me.